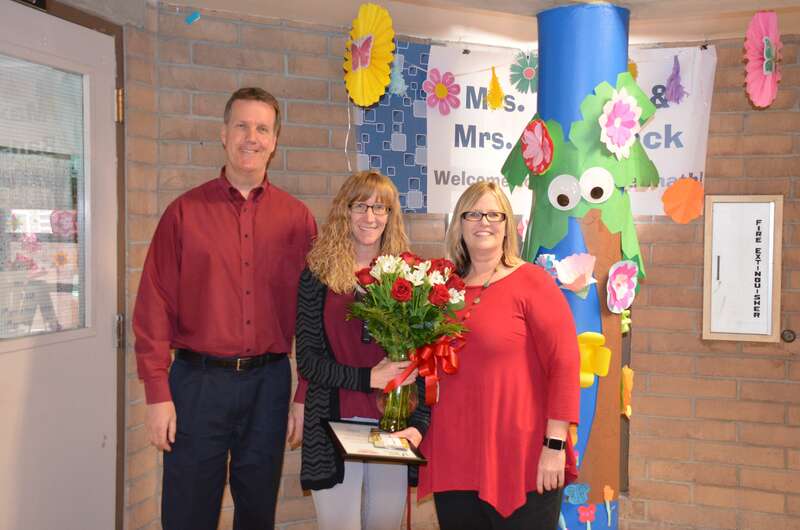 18-year veteran teacher, Mrs. Bansback, was honored with the April 2018 Teacher Excellence Award. Mrs. Bansback, who has worked at Tortolita Middle School for the past six years, is the lead math teacher for the department. She received flowers and a plaque from TVT, and school supplies along with a $100 gift card from Office Depot/OfficeMax! She also received $250 cash courtesy of Tucson Electric Power and Helios Education Foundation.